If you keep trying different methods of improving your sales teams performance such as training, coaching, new literature, more marketing spend and so on, then perhaps it is the process that needs fixing rather than the sales person. 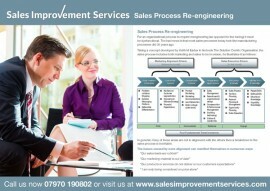 “For an organisational process to require reengineering (as opposed to fine tuning) it must be dysfunctional. White Paper: How Can You Align Your Sales Process? If you don’t have a clear sales cycle or process in place, how can you expect to capture leads or opportunities at the right time? In our latest guide, find out what techniques you can use to align your sales process and maximise your sales success.